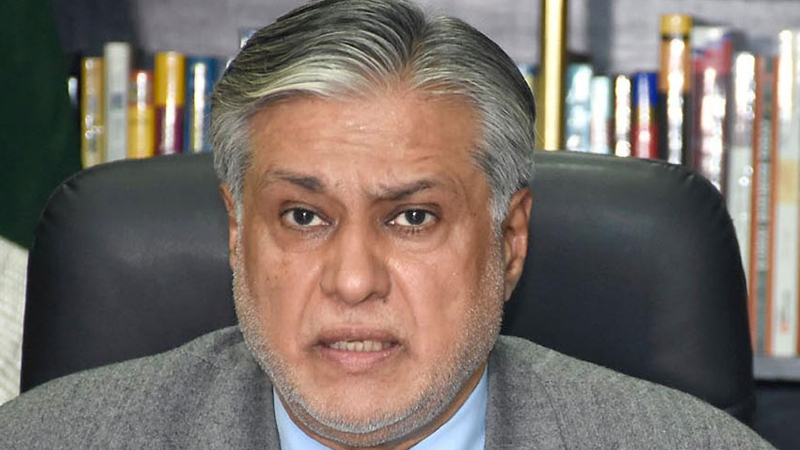 ISLAMABAD: Accountability court I resumed on Wednesday a corruption reference hearing against the former finance minister Ishaq Dar for owning assets disproportionate to his declared income. Judge Muhammad Bashir is presiding over the hearing session. Three more accused, in relation to the supplementary reference, were presented in court today. A private bank’s employee Tariq Saleem and Mohsin, both prosecution witnesses, were also present for the hearing session. The hearing is currently underway. Previously, the Interior Ministry blocked former finance minister Ishaq Dar’s passport and his name was blacklisted. Mehmood and Rizvi, meanwhile, are directors of a company Ishaq Dar owns.